The World's Largest Outdoor Cocktail Party and one of the biggest rivarly games in SEC football is this weekend in Jacksonville, FL. The Florida Georgia game is notorious for throwing a huge tailgate and party. These two team have been meeting since 1914! Way before any of us were born. The Georgia Girls have always impressed me with their style. They were dressing up for football games long before it was trendy. 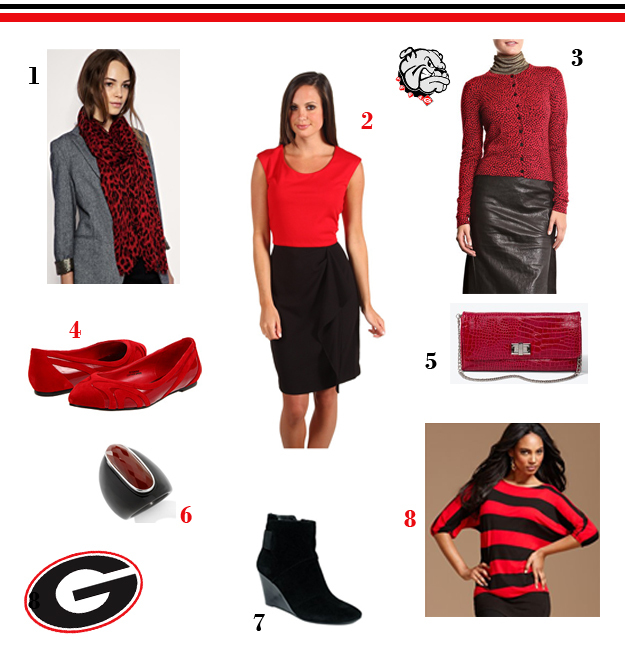 In honor of the Georgia Girls this weekend I have put together a few stylish black and red items for gameday. Cheers!